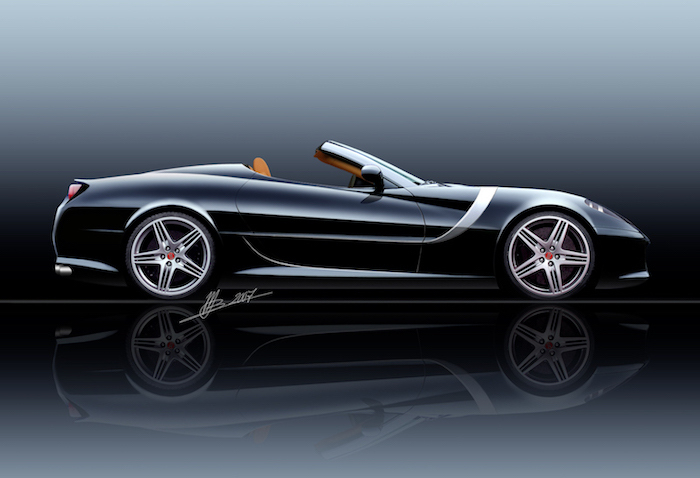 A concept for a progressively styled GT Convertible based on the Ferrari 599 GTB Fiorano, featuring a lightweight carbon fibre folding hardtop. After the successful introduction of the 599/630 GTO the unveiling of the GT Convertible design concept clearly marks the Vandenbrink specialty mission: on demand design and manufacturing of unique “off-menu” automobile coachworks, based on the latest class-leading platforms. The Ferrari 599 GTB based Vandenbrink GT Convertible is just one example of Special Coachbuilding on customer request.